“We can be hurt by words, but we don’t mind, but when we are hurt by a knife, a gun, you can’t say I don’t mind,” he added. “The country is struggling to maintain and protect its large Jewish population, the third largest in the world, which has been dwindling precipitously thanks to the wave of anti-Semitism that has gripped the country over the past decade. 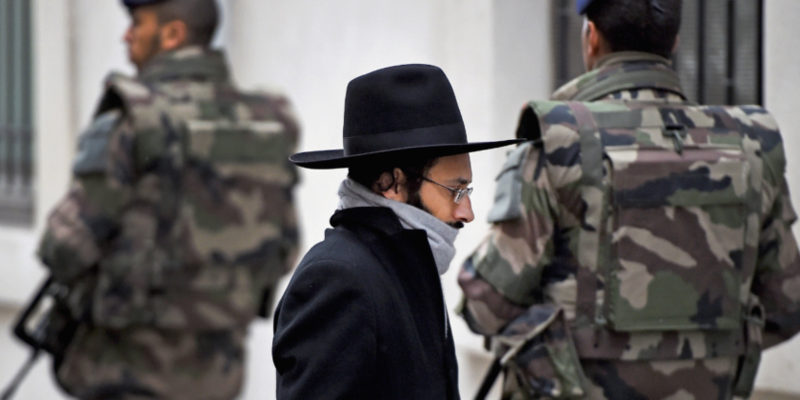 In 2015 — the year of the Charlie Hebdo attack — 8,000 Jews left France and headed for Israel.